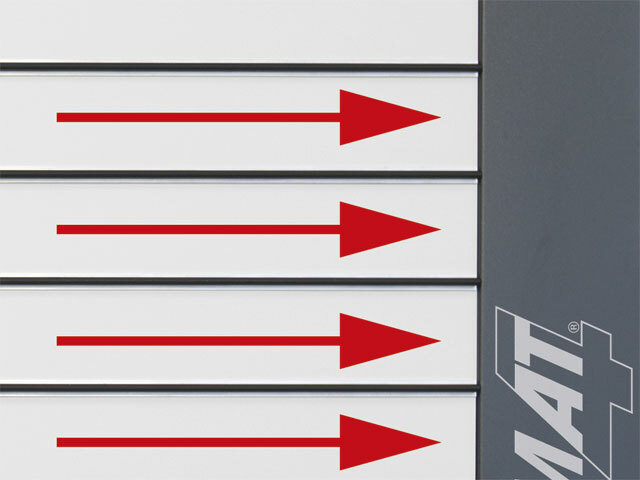 The vertical panel saw from Format-4 ensures a large increase in your productivity. A robust and compact design guarantees highest precision and efficiency with minimum space requirements. 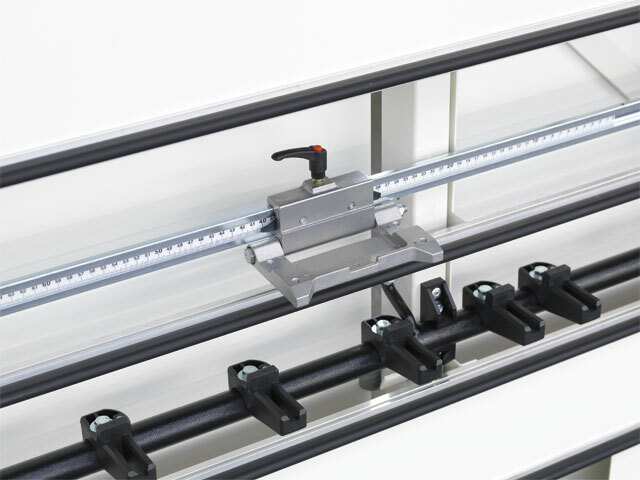 The solid, single piece frame construction and a saw carriage running on steel rails guarantees a cut accuracy to one tenth of a millimetre. The handling and operation of the machine are facilitated with the help of a wide range of accessories, already included as part of the machine‘s standard equipment. The saw unit is guided on steel rails and as a result, executes cuts accurate to one tenth of a millimetre. 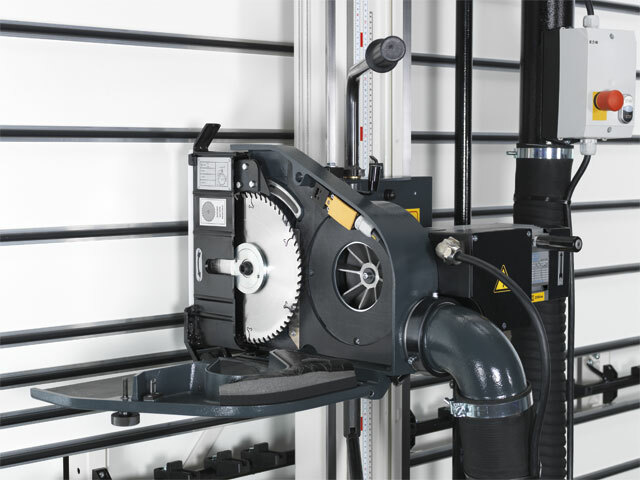 A high-torque motor 4 kW, a saw blade diameter of 250 mm (optionally with a scoring unit) provides a 60 mm depth of cut. 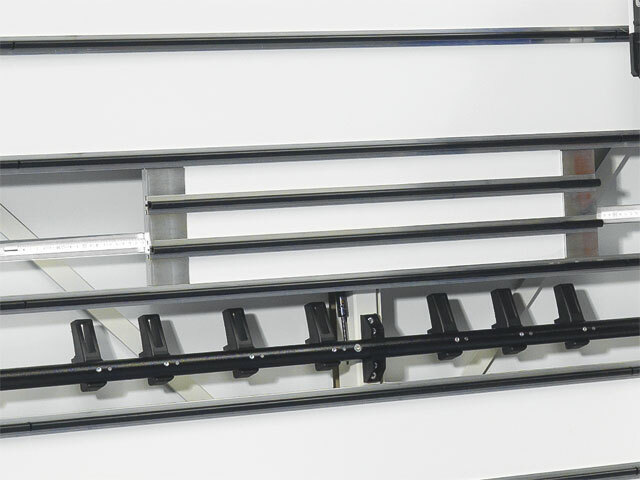 Adjustable aluminium carriages: fast and easily positionable. An additional stop is included as part of the standard equipment to help cut narrow strips to length. 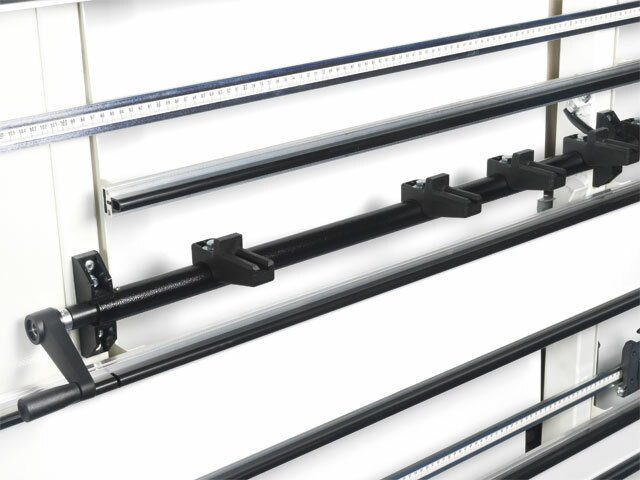 The easy to swing away centre support covers the full machine length and can be split for small workpieces. 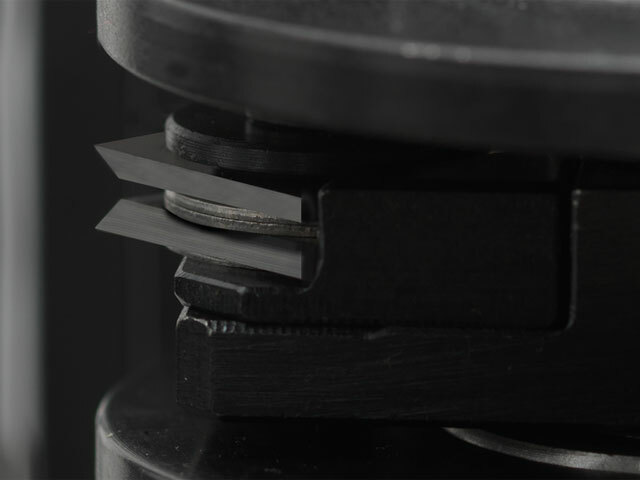 The scoring unit with two guided carbide cutters guarantees tear-free cuts in laminated materials without limiting the cutting height.